A joint team of Israeli government ministers, security experts and decision makers will formulate a NIS 5 billion to upgrade the country’s security emergency and earthquake preparedness, according to a cabinet decision on Monday. The plan is to be prepared for approval within 60 days and is expected to be put into place from 2019 to 2030. The cabinet instructed the treasury budget director and the director general of the Defense Ministry to approve a budget of NIS 500 million (nearly $140 million) in the next 21 days to protect public and residential buildings. 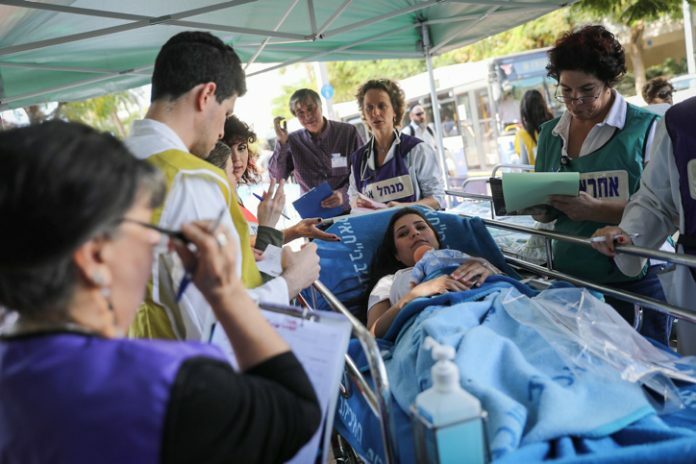 The move follows a week in which a series of small earthquakes shook the Upper Galilee, causing concern that thousands of Israeli buildings were unprepared in the event that a large earthquake should take place. Kahlon called the initiative “a large-scale program, one of the largest in Israel,” which would work to protect hospitals, educational institutions, public buildings and shelters, and to build secure spaces in residential areas.